IMTFI Blog: Is the Rural Hometown a Worthwhile Investment? This post is the second in a 2-part blog post series. For part one, see here. The rural hometown is where all human mobility begins. In the case of developing countries, poverty, fewer job opportunities, and limited business activity hound rural development. It is thus not surprising that migration — be it to the cities, to the more gainful towns, or to overseas countries — pulls people to go elsewhere. Place becomes a livelihood and unfortunately rural birthplaces become less attractive, even to their own residents. But since not all can move, kith and kin stay at home, in their rural hometowns. The person moving, for his or her part, forges an economic relationship with their families through domestic and international remittances. Compared to non-migrant households, these kinds of households can be financially fortunate. These remittances can even contribute to local economic activity by enticing demand for more goods and services. Moneyed households, especially those with surplus incomes, can start businesses — or even invest in local property, in the products of local financial institutions, and other opportunities available locally. So remittances come to be an economic lifeline for rural areas. Remittances become a type of financing rooted in people and institutions that have links with origin communities of the migrants. Given that remittance incomes flow into rural areas, a crucial question that emerges is related to how rural communities could maximize the benefit of these remittances? For this, it is necessary to identify the local conditions that can stimulate the fruitful use of remittances. It may also be important to assess if moneyed income-earners like overseas migrants are financially capable of investing. This is the case for the Philippines, a major origin country of overseas migrants who are scattered worldwide. Here, a group of researchers has been implementing a project that goes by the acronym RICART: Remittance Investment Climate Analysis in Rural Hometowns. Ricart sought to find out if overseas migrants and their families find wisdom in parking their money in the place —the rural hometown — they are familiar with. Even the way the rural hometown is governed, as well as the place’s socio-economic and investment-related conditions, was examined. Four municipalities have been studied over the last four years. 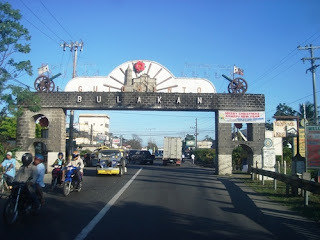 The latest one is in Guiguinto in Bulacan, an hour’s ride away from Manila and a hub for manufacturers. 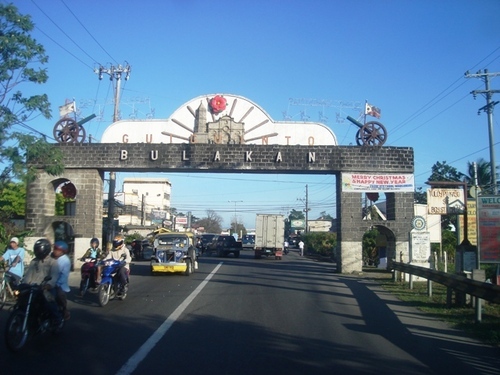 Guiguinto is a progressive local community, economically. 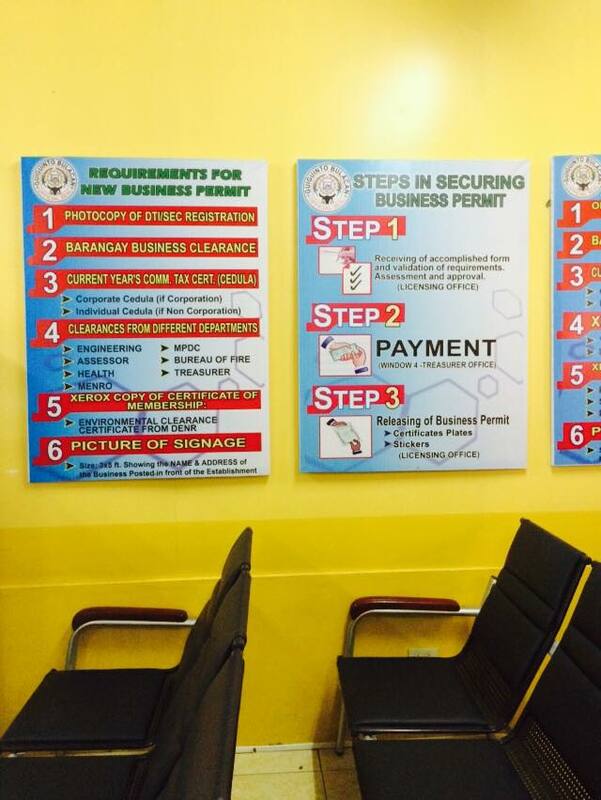 Guiguinto is first-class in terms of income, and in securing business permits is perhaps the quickest in Bulacan. Registered businesses in Guiguinto are some P9.343 billion big in terms of resources. Local productivity, estimated at P1.235 million per worker, is high in Guiguinto. This is not to mention that Guiguinto has an estimated 3,959 overseas Filipinos sending incomes to loved ones back there, supplementing local incomes. Guiguinto’s economic lure has been a catch basin for 44 branches of financial institutions found in the community along with shopping centers. These institutions are accessible to local residents. So do overseas Guiguinteños find their community worthy to invest in? Ricart’s survey there (n=229 respondents who are overseas migrants and migrant and non-migrant households) found that only 30 percent of overseas remitters and 43 percent of overseas migrant families invest in Guiguinto. About 33 percent of remitters and 40 percent of migrant families have businesses in Guiguinto. And 44 percent of remitters and 26 percent of migrant households hold savings accounts. These results can be surprising to observers. Why are many of these moneyed people not investing? One reason could be attributed to limited levels of financial literacy. The same Ricart survey for Guiguinto found that the three respondent-groups claim they do not need assistance in handling money, and have “good” levels of knowledge and skills on handling money. But when asked about three basic concepts surrounding finance — interest, inflation and loans — less than eighty percent of respondents gave correct answers to the survey’s questions. However, this does not mean respondents’ reasons for not investing in their rural hometown are suspect. Migrant households’ heads were asked in a focus group discussion what governs their decisions to invest in their own rural backyard. Their answers can be visualized like a magnifying glass, so a Magnifying Glass of Rural Investing Assessment was developed (see diagram). 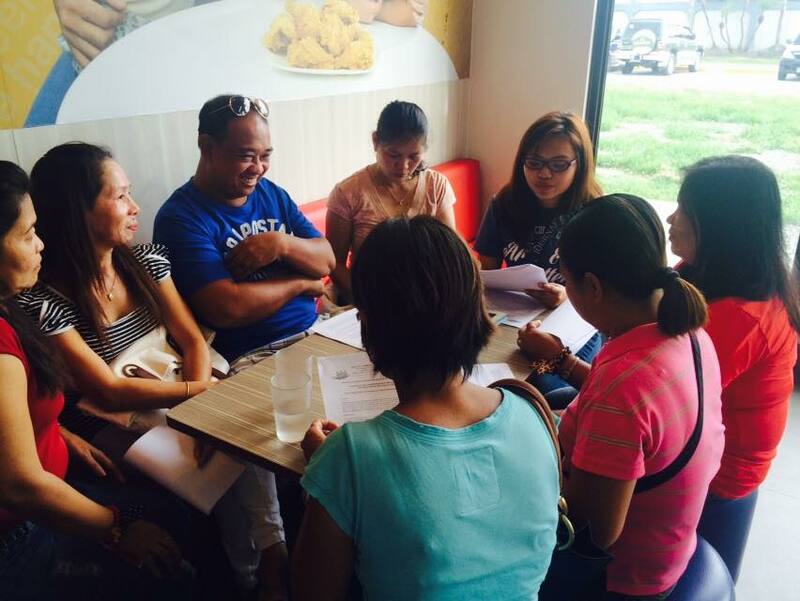 From the perspective of the person making the investment decision, in this case the remittance-receiving household, their assessment can be likened to holding a magnifying glass, inspecting personal, familial, environmental and institutional developments before saying yes to rural hometown investing. The person trying to decide looks at his or her experiences as well as personal disposition toward saving and investing. The family also plays a role in the investment decision, with the household’s current financial condition being an important factor. 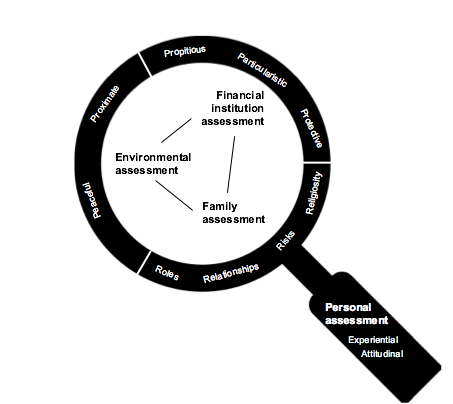 Family members also assess present and future needs while weighing daily needs against short-to-long-term prospects. If we zoom out to the immediate geographical environment of Guiguinto. Visible economic progress is both good news and yet also a matter of concern given that moneyed people may then become prey for scammers. Peaceful and orderly local conditions may encourage the desire to invest in the hometown. Finally, there is the assessment of the available financial institutions. While interviewees are concerned with the litany of requirements necessary to avail of a financial product, the financial institution’s stability is also a primary consideration. Previous as well as ongoing episodes of scams are reasons for such careful assessment. Some financial institutions operating in Guiguinto were also asked about overseas town mates’ financial behavior. There is concern about how incomes are predictably used for more consumption. But some overseas Guiguinteños save and even avail of housing loans. Some migrant town mates are also concerned about the accessibility of the financial institution, signaling the need to receive the overseas remittance quickly. This Magnifying Glass of Rural Investing Assessment may reveal differing perspectives and attitudes on the part of prospective rural hometown investors like overseas migrants. There may be those who are attuned to risk-taking or those who are risk-averse. Despite the variations, financial literacy initiatives are an important development agenda, more so for the rural community. If a rural economy that is progressing wants to sustain the gains of such growth and benefit more from overseas remittances, capacity building through local financial literacy programs may well be the perfect complement. For rural localities like Guiguinto, overseas and even domestic remittances signal the need to address a policy gap: how can these remittances be maximized for local development? Localities also have their own contexts to consider when remittances are to be channelled to productive purposes (in the case of Guiguinto, there’s industrialization and a declining role for agriculture, although gardening is a culturally-rooted entrepreneurial venture that still clicks locally). For its part, the local government has instituted many reforms over the past decade to make Guiguinto’s business climate friendly to investors and entrepreneurs. Lessons from this migration-and-development story of Guiguinto have informed a Philippine local competitiveness agendum. Regardless of who sits in power nationally and locally, harnessing remittances for rural development will require political will and strategic interventions so that resources like remittances naturally go to productive economic activities found locally. Improving the business climate is a necessary precondition to overseas remittances development potential. It may help that financial institutions properly inform their clients locally of the many savings, investment and entrepreneurial options available to them. In the end, if rural residents are more financially literate and capable, and if local officials offer programs and policy-making that account for the needs of local investors, moneyed rural residents like overseas migrants could be encouraged to make their rural hometown the natural choice for investing. This piece is an outcome of the research project "Overseas remittances, hometown investing and financial inclusion: A remittance investment climate (ReIC) study in a rural hometown." This project was conducted by the non-profit Institute for Migration and Development Issues (IMDI) and supported by the Institute for Money, Technology and Financial Inclusion (IMTFI) of the University of California-Irvine. Read their final report here. Read Dr. Ang's recent commentary on financial literacy and financial inclusion in the Philippines here. Dr. Alvin Ang is professor of Economics at the Ateneo de Manila University. Jeremaiah Opiniano is the IMDI executive director and an assistant professor of Journalism at the University of Santo Tomas. For comments: ofw_philanthropy@yahoo.com.